Karan is a lazy good-for-nothing who lives on the generated income of his father and elder brother at their family business. Karan's days: hang out with buddies and romance a woman named Romi. When he watches an action movie, he decides to enlist in the army with a friend, but basic training proves to be too much of a bother and he shortly abandons it, thus making him lose respect on the home front. Romi also stops respecting him. Karan decides he must re-join the army and show his family and Romi that he, too, is focused upon the path he has to take in this lifetime, but will he be resilient enough to carry out this task? 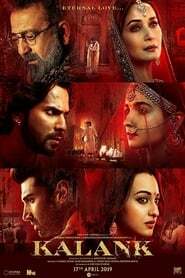 Tells the story of two lovers, separated by destiny, who meet again one day. This encounter allows each to realize the truth about the lives they are ...More. Assistant Commissioner of Police, Uday Dhirendra Thakur, is a rogue cop, known for his relentlessness in pursuing criminals, and bringing them to just...More. A broken hearted Julie comes to Mumbai to make a living, but the fast moving city will force her to take prostitution as her profession..
Just as he is preparing for his daughter's wedding, a veteran policeman is assigned to a crack team transporting a Pakistani secret agent to trial..
Tony works as a hit-man for gangster, Vikas Patil, who owes his allegiance to wealthy Raj Mallya. Raj Mallya is involved in marketing spurious and out...More. During the year 1990 Professor-Author Siddharth Das releases his first book 'Kahi Unkahi Baatein' which contain a total of 10 short stories albeit wit...More. Diya (Aishwarya Rai) is an intelligent university student who does not agree with arranged marriage. She spends much of her time at an orphanage in Co...More. 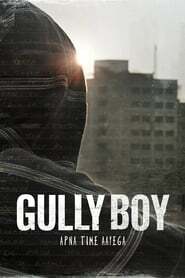 Gangster and criminal Don, Suraj Rana, who is also known for his kindness, adopts a street urchin named Arjun, and teaches him all the tricks of the t...More. An army major goes undercover as a college student. His mission is both professional and personal: to protect his general's daughter from a radical mi...More. 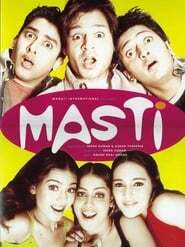 Three henpecked friends try to escape their unhappy marriages by seeking out some extramarital fun, only to end up being blackmailed..
Ajay gets married to his childhood friend Durga; who is illiterate unable to differentiate between the style of these days and that of long time ago. ...More. Sameer, fast at losing his temper is re-located to Goa where he falls in love with Rani. 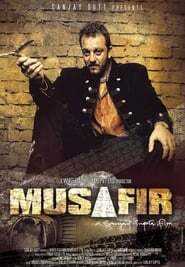 But Sameer's new roommate Sunny, has some plans of his own..
Musafir (Hindi: à¤®à¥à¤¸à¤¾à¤«à¤¼à¤¿à¤° MusÄfir, translation: Traveller) is a 2004 Hindi thriller film, directed and produ...More. Tamanna Sahni (Shilpa Shetty) is a dedicated staff member of a top advertising agency, her ideas and designs have mainly contributed to the success of...More. Senior police officer Pandey is called in to train a new batch of trainee officers that the Indian police force wants to recruit. He does manages to i...More. Crime is at its highest peak in Mumbai with it split in three ways. Walia has one-third, Manik Rao has one-third and Roshni has a third of the Mumbai ...More.